The pack is dedicated for financial and business type of websites and landing pages, it’s a great way to add some visually appealing details and to make formal content easier to comprehend. All the source files are included, you’ll be able to adjust colors of any illustration from this pack and easily put your own content on the computer screens. 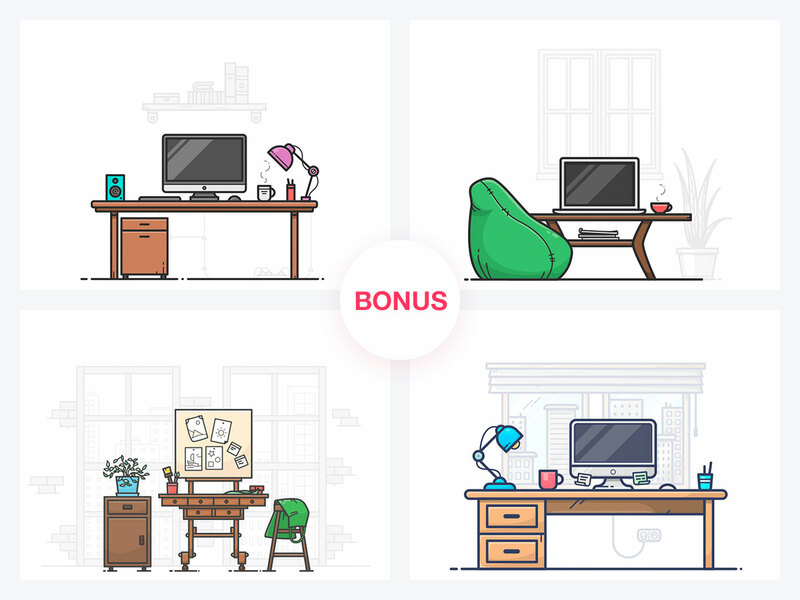 As a bonus you’ll get an extra pack of 4 workspaces. Customise the graphics any way you want it because the source files are included in the package and can be completely modified. If you have Adobe Illustrator or Sketch App installed, you can easily change colors in order for graphics to fit better your brand identity. 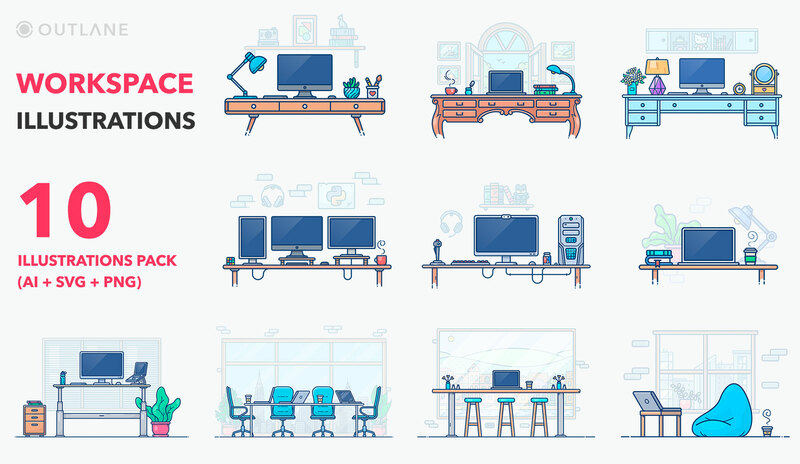 Make your page load much faster by replacing heavy stock images with our beautiful and unique lightweight vector graphics. Handcrafted Outlane graphics fits any device screen and can be scaled up and down easily without losing the quality or increasing the weight. Get all Outlane graphics at ones and save 60%. Limited offer! Don't forget to check out our free graphic resources that are the ideal solution if you're on a budget. Didn't find a right fit for your project in our store? We'll be happy to create custom graphics for you. Outlane is a digital design agency delivering beautiful and efficient solutions for ecommerce.